Joe Sample located his jazz bag whilst at Texas Southern University in the 1950s. With future Jazz Crusader chums Stix Hooper and Wilton Felder, this trio emulated the slinky grooves of Art Blakey’s Jazz Messengers and then took the pulse of what would become known as jazz-funk, even if that term barely covers one iota of what they would achieve. Increasingly popular on the West Coast as well as in their native Lone Star State, the Jazz Crusaders became ’go-to’ experts in their own right while producing recordings that showcased up and coming guitarists like David T. Walker, Arthur Adams and Larry Carlton – the latter being quite possibly the greatest electric guitar man on the planet. Discuss. Writers and arrangers to a man the eventual Crusaders set the template for modern fusion.Yet Sample’s solo career was always going to be a given. A restless and pioneering spirit, his Fancy Dance was a modest yet brilliant affair and Carmel made his accessible if erudite musicianship commercial. Good for us that it did. Working with Abraham Laboriel, Dean Parks, the Stix man and Hubert Laws, Joe sashayed into the mainstream here on seven self-penned gems that include signature tunes like ‘Cannery Row’ and ‘A Sunny Day in Monterey’– blissful elegiac items that summon up the sunshine and shadows of Sample’s adopted California while never betraying his deep Southern and Texan roots. During the 1980s he consistently amazes, within and without parent group The Crusaders. Voices in the Rain and Swing Street Café (with David T. Walker) are packed with sonatas, swing and the sultriest jazz funk known to man. They are so recommended, it almost goes without saying. Then we come to The Hunter (1982). This total classic includes his famous pieces ‘Night Flight’ and ‘Blue Ballet’ where guitarists Dean Parks, Phil Upchurch and David Spinozza add to his keyboard balm. And yep, that is Steve Gadd on drums pretty much throughout. Joe’s 1987 album Roles finds him continuing to work with his close friend, accomplice and producer Wilton Felder – the emphasis here is on pushing the jazz funk boat out to its furthest possible region with trumpeter Sal Marquez, percussionist Lenny Castro and vibraphone ace Bobby Hutcherson, adding an innate steel to what is very much a Latin influenced recording. This period of our delightful relationship with Joe climaxes in 1985’s Oasis, where a tried and trusted circle of players joins him on a plethora of sublime tracks. Following now in the tradition of The Crusaders by utilising a sterling vocal expert, Sample is at another peak, working alongside lyricist Will Jennings (who co-penned ‘Street Life’– the hit, the legend) and the siren known as Phyllis Hyman on the crossover smash ‘The Survivor’. After a run of fine discs, we pick Joe up again on The Song Lives On – a sumptuous collaboration with Lalah Hathaway, daughter of the amazing Mr. Donny Hathaway, revisiting some older ballads like ‘One Day I’ll Fly Away’, ‘Street Life’ and an outstanding interpretation of the 1950s torch tour de force ‘Fever’. Like the title suggests, the song does indeed live on here. It lingers and demands respect. Then in more recent years we have The Pecan Tree, featuring drummer James Gadson, and guitarist Dean Parks and yet another largely self-penned set, including ‘The Texas Two Step’ and ‘El Dorado’. It doesn’t get hotter or more humid than this disc. So it goes. Soul Shadows (2004), a brace of albums with Ms. Randy Crawford and the most-recent Live – with drummer Steve Gadd and son Nicolas Sample – bring us up to date. If you haven’t already started your investigations, then take a look at Collection, an anthology of priceless tracks from 1978 to 1985 – basically a creamy selection of Blue Thumb and MCA Sample standards that includes ‘Night Flight’ and the not to be overlooked ‘Woman You’re Driving Me Mad’. This is a ten cut primer of the highest order. To be honest, we’re not fussy when it comes to Joe Sample: simply because his music is so delightful that to pick up on him at any time is a blessing. As he reaches his middle-70s the man is playing better than ever. It isn’t to much of a stretch to insist that he helped the whole jazz funk thing crossover and then become a standard by which other lesser players are judged. He is one of the musical gods. By any definition he is a tireless Crusader. Sample him and enjoy. 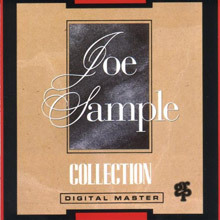 Pianist Joe Sample is a pioneer at creating melodic and accessible pop-jazz. His recordings of the 1970s and '80s were consistently popular, especially this best-seller. Sample is joined on most selections by fellow Crusader Stix Hooper on drums, electric bassist Abraham Laboriel, percussionist Paulinho Da Costa, and, often, guitarist Dean Parks. Flutist Hubert Laws guests on "Midnight and Mist." 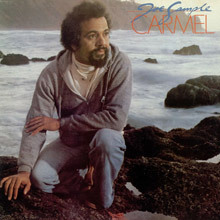 The memorable melodies, clean harmonics, and Sample's fine playing make Carmel a high point among his solo recordings. Roles was released in 1983. 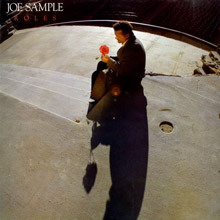 Because of the success he's enjoyed in the pop and R&B markets, critics have tended to dismiss Joe Sample's albums as a leader. But in fact, the keyboardist/pianist's work has often been imaginative and quite soulful. Despite the inclusion of a few throwaways -- including the aimless "Woman, You're Driving Me Mad" -- Collection isn't a bad introduction to his MCA Records output of the late '70s and early-to-mid-'80s. His playing is warm and intimate his playing is on "Carmel," "Sunrise," "Fly with the Wings of Love" and other poetic jazz-pop gems included on this 1991 compilation. The CD's greatest emphasis is on songs from Rainbow Seeker and Carmel, which is appropriate given that they are Joe Sample's strongest albums. 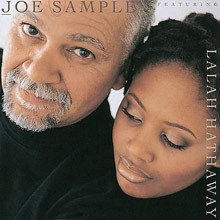 The daughter of the popular late R&B singer Donny, husky voiced Lalah Hathaway is the perfect foil for Joe Sample's compelling notion that The Song Lives On. Finding a happy medium between the graceful straight-ahead jazz trio vibe of his Invitation album and the plucky pop energy of Spellbound, Sample provides Hathaway on seven of the 11 tunes with a showcase for her sultry approach. His and Bill Shnee's production approach is generally sparse, not much more than piano and bass, enhanced on occasion by Fender Rhodes and the occasional smoky input of Kirk Whalum. Sample doesn't seem to mind playing second fiddle most of the time, his trademark mix of dark chords and dancing, optimistic improvisations forming harmony lines behind her; often, though, his itchiness to step higher into the mix comes clear and he breaks into extended upbeat improvisations. 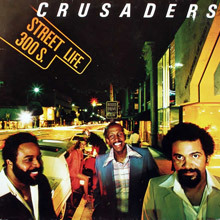 On a cover of his Crusaders hit "Street Life," Hathaway turns the title into a mantra and Sample echoes her sentiments with sharp, percussive reiterations of the song's main melody. Then Hathaway stops and Michael Thompson steps in with some edgy electric guitar lines. Other song choices range from reverent takes on standards like "Fever" and "For All We Know" to vocal versions of older, well-known Sample instrumental hits; for example, with Norman Gimbel's cheery lyrics, Hathaway turns the once moody "All God's Children" into a life-affirming love song. The point seeming to be, in finding new life for both his old material and the classics, Sample is bringing a form of immortality to favorite songs.